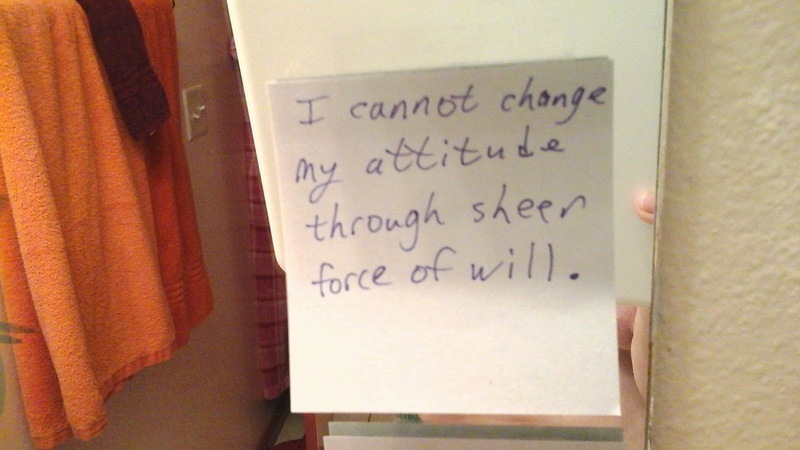 Twice in recent times I've gotten into trouble by thinking that I could change my attitude just by deciding to. I've thought I could refocus my obsessions just by recognizing them for what they are and trying like hell to think of something else. Invariably, my mind returns to that which is upsetting me in short order. I forget sometimes that everything has a process. When I decide to turn my will and my life over to the care of my Higher Power, it hasn't been accomplished yet. Doing the rest of the steps is the how, the process. The same is true of forgiveness. I've never been able to just up and forgive anyone through sheer force of will. It only ever happened as a by-product of a vigorous fourth step. So it is with changing my attitude. I have to do a process. 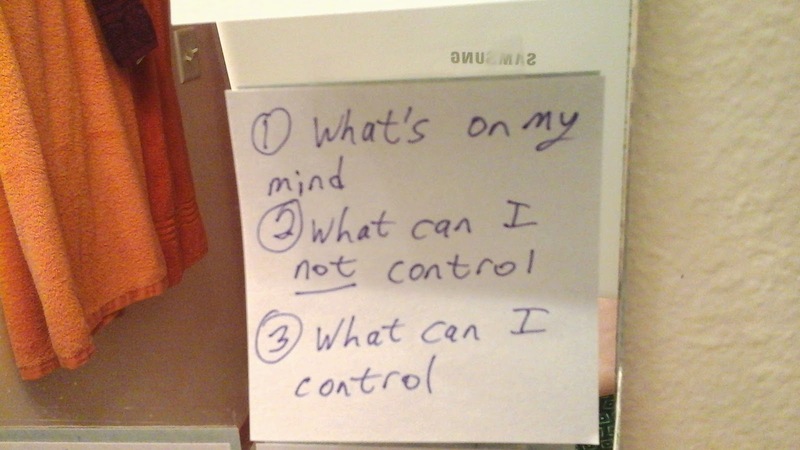 One great process I sometimes forget to use is the first process my first sponsor taught me - the control list. I take a piece of paper and draw lines vertically that divide it into three columns. In the first column I list something that is on my mind. In the second column I list all the aspects of that situation that I cannot control. In the third column, I list the things I can control. This process serves a few purposes. First, it organizes my thoughts. When they grind around in my head, they are unclear and infused with emotion. Second, it makes clear what concerns I can let go of. Whatever I can't control, I feel absolved of responsibility for. 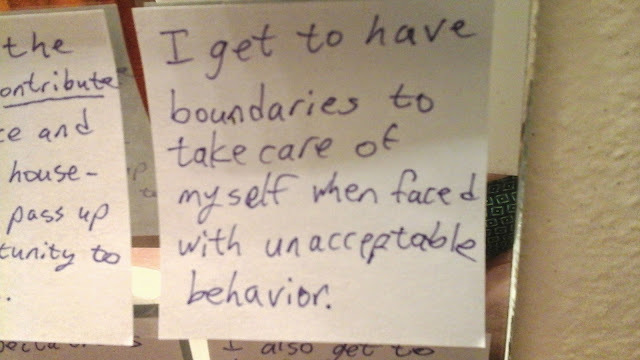 Third, the column of things I can control gives me ideas for how to build my boundaries. I can decide what to do to take care of myself. All of this gives me a feeling of purpose and optimism. I feel less lost and more able to meet my situation sanely. That's a much better attitude!